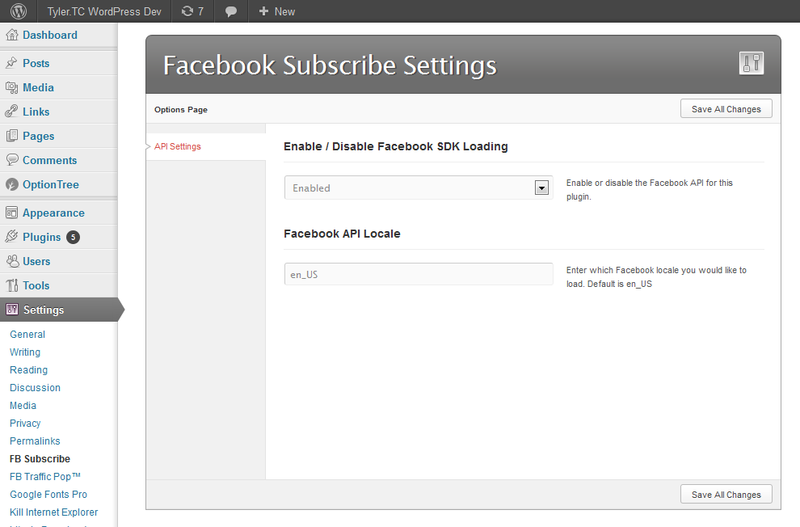 Facebook Subscribe for WordPress brings you full control and support of Facebook’s New Subscribe Button social plugin. 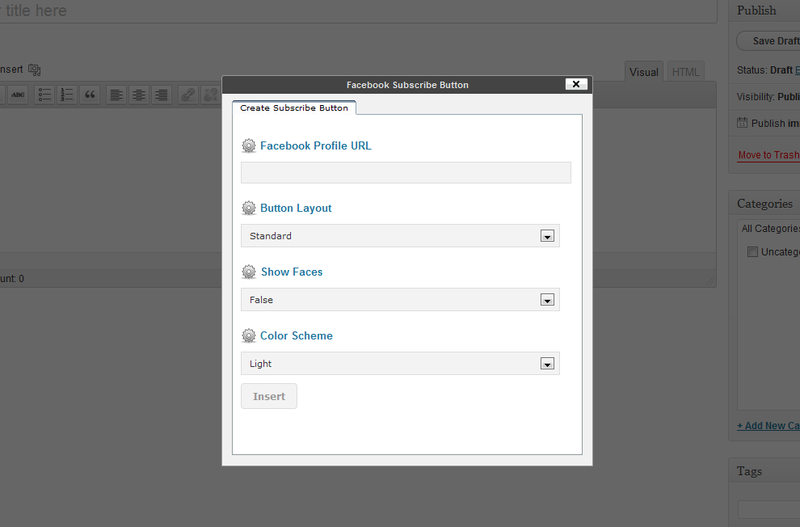 FB Sub for WordPress is the only plugin offering full shortcode + template tag support for WordPress. Includes a custom shortcode with built-in TinyMCE plugin that allows you to quickly generate / configure subscribe buttons and insert them into posts and pages right through the editor! Includes a custom template tag that allows you to quickly and easily place customized subscribe buttons anywhere in your theme site wide! Includes a built-in widget for adding a fully customizable subscribe button widget to your sites widget enabled sidebar / footer / etc! Supports all kinds of button options including the profile url, button layout, showfaces support, and color scheme support! Includes gorgeous Ajax Admin Panel – Enabled / disable the Facebook API to place nice with rouge themes and plugins, you can also set your Facebook API Locale for other languages! Works on any WordPress site big or small! Includes full documentation and install instructions.